So…yeah. Do you remember the good old days when Star Wars video games was synonymous with Nintendo? From Rogue Squadron to Shadows of the Empire, and all the way back to the NES and SNES days with the original trilogy, Star Wars has previously found a good home with Nintendo. Ever since EA took over the rights to the IP Nintendo fans have gotten nothing. All of that is about to change with Star Wars Pinball! The game no one asked for, but hey – it’s Star Wars! 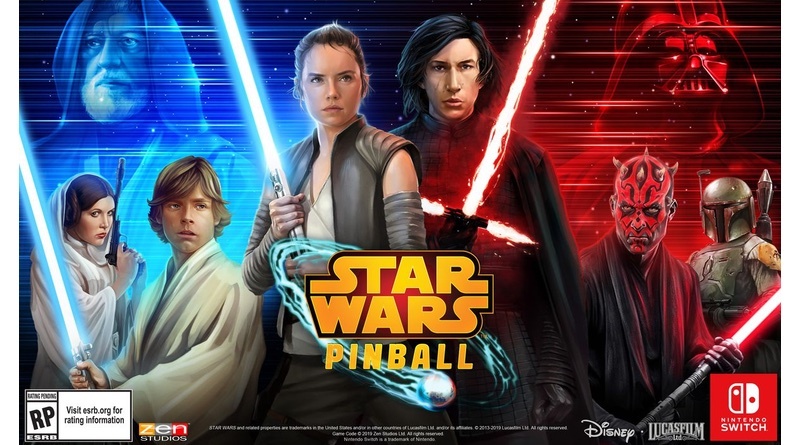 The first Star Wars game releasing on the Nintendo Switch platform, Star Wars Pinball will debut with its entire collection of 19 digital pinball tables that span all three Star Wars eras and will take full advantage of the Nintendo Switch’s unique functionalities, like HD Rumble and vertical play orientation. In addition to its digital availability through the Nintendo eShop, Star Wars Pinball will also be found on retail shelves as a physical product for the first time ever, exclusively for Nintendo Switch. • Galactic Struggle: Every Star Wars Pinball player in the galaxy will choose to follow the light or dark side in a perpetual online digital tug-of-war between the forces of good and evil. What is your destiny? • Career Mode: Designed with short on-the-go gameplay sessions in mind, this mode challenges you to complete very specific pinball-based missions across all 19 tables. Choose the path of the Jedi or the Sith as progress through 50 career ranks. Some missions involve mastering awesome Star Wars-themed minigames that might be difficult for some players to access through regular play, such as piloting an X-wing or TIE fighter or fighting Darth Vader in a lightsaber duel. • Force Powers and Talents: Collect Holocron Shards during missions to unlock Force Powers and Talents that yield special in-game bonuses when activated, such as multipliers, slowing down time and more. • Cantina Jukebox: Collect the greatest tunes in the galaxy as you play each table. Once you’ve heard a song, you can listen to it any time you like.